I. Love. Eggs! 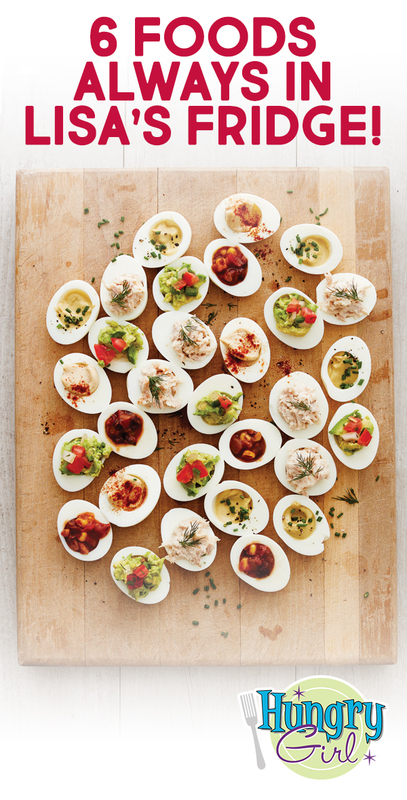 They’re crazy versatile and packed with protein, so it’s no surprise I devoted an ENTIRE CHAPTER to them in Simply 6. 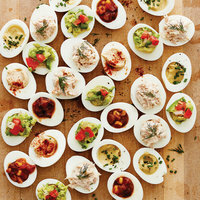 I like to pop out the yolks to make room for yummy stuff like hummus or salsa. In addition to whole eggs, you’ll always find a container of Egg Beaters or liquid egg whites in my fridge. That stuff is perfect for egg mugs, a.k.a. egg scrambles made in the microwave! I use this low-calorie milk swap every day. 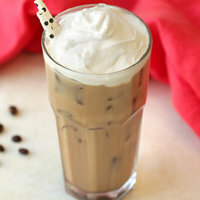 It’s my go-to for coffee drinks, oatmeal, smoothies, baking... basically anywhere you’d use ordinary milk. It’s really creamy and delicious, and that low calorie count can’t be beat! It comes shelf stable or refrigerated, but you’ll want to put it in the fridge either way once it’s opened. I like to stock up on the shelf-stable cartons so I never run out. 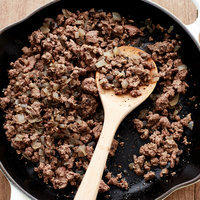 A lot of people consider lean turkey to be the best ground option, but extra-lean beef has fewer calories and is SUPER flavorful. (Yes, there’s extra-lean turkey, but it’s a little dry in comparison.) Look for beef that’s at least 96% lean, with no more than 4% fat. There’s a brand called Laura’s Lean that I like, and Trader Joe’s sells its own extra-lean ground beef. 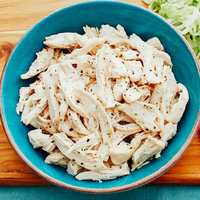 Click here for a slew of recipes, and don’t miss the new ones in Simply 6! I can’t even remember a world without this super-thick, crazy-satisfying yogurt! It comes in a slew of flavors, but the plain is my favorite. I like to doctor it up with a little sweetener, cinnamon, and vanilla extract. It also plays a major role in the “Simply Dough” chapter of Simply 6. It’s one of the key ingredients in my 3-ingredient dough, which I use to make pizza, breadsticks, bagels, and more. 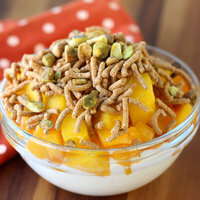 Greek yogurt is also my go-to for creamy dips and fruit-packed breakfast bowls! Spiralized zucchini noodles are basically the best thing since sliced bread. Although, I’d be lying if I said I didn’t sometimes rely on the pre-spiralized frozen kind by Green Giant! There are over half a dozen z’paghetti recipes in the new book, plus a “Zucchini Noodles Made Simple” guide that includes info on using the frozen ones in recipes. P.S. 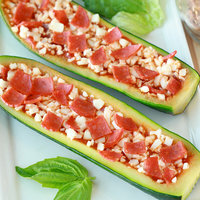 I also like to hollow out zucchini to make things like these Zucchini Pizza Boats! Stock your friend’s inbox with this info… Click “Send to a Friend” to share!